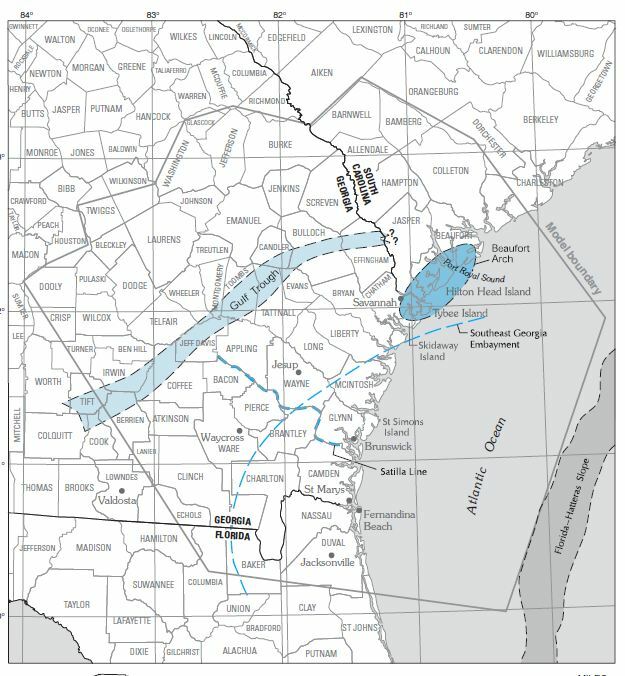 The North Florida-Southeast Georgia (NFSEG) regional groundwater flow model is a project of the North Florida Regional Water Supply Partnership. Technical experts from the participating water management district and other key stakeholders are working collaboratively to develop the next generation regional-scale groundwater flow model for north Florida and considering other tools within associated constraints. The technical team's mandate is to ensure that the most appropriate science is applied to the modeling and data analysis to support decision-making, and that the work completed is defensible, understood by the team, and collaboratively developed, as described in the partnership's charter. As the model progressed toward a state of substantial completion, a planning level version (NFSEG v1.0) of the model was released in August 2016 for use in support of the North Florida Regional Water Supply Plan. With the completion of the North Florida Regional Water Supply Plan, the St. Johns River (SJRWMD) and Suwannee River (SRWMD) water management districts are in the process of completing the NFSEG model development (Version 1.1) and will utilize it for establishment / assessment of minimum flows and levels (MFLs) and for regulatory use. Part of the finalization of the NFSEG model and associated HSPF models is to convene a panel of modeling experts to provide peer review as the final phase of the Version 1.1 model development is undertaken. Conducting the review in this manner will provide opportunities for the modeling team to incorporate peer review suggested changes as the model is being completed. The intent of the WMDs is to ensure the NFSEG and attendant HSPF models are developed and implemented based on sound science and modeling principles. Peer review of model applications will focus on the appropriateness of the model, input data, calibration and verification procedures, and on the proposed uses of model results. The peer review process will be accomplished by a panel of modeling experts in an open forum consisting of public meetings and teleconferences, and submission of written peer review reports. It is hoped that this review will provide users of the model a level of assurance that the model and accompanying information is credible and unbiased, that the assumptions applied are reasonable, and that the results are reported fully and accurately. Jim Rumbaugh, P.G. Environmental Simulations Inc. The peer review process has been divided into four major tasks, each with deliverables and meetings, allowing for Technical Team and stakeholder participation. In person meetings will be held at the district headquarters in Palatka and will be open to the public. A teleconferencing option will be made available to members of the public and to members of the review panel working from more distant locations. Note: Appendices A & C are part of the report. Due to its file size, Appendix B “Calibration plots” is available by request.